Also announced last night were two movie adaptations. Terry Rossio (Shrek) is working on a script for Mort while Rhianna Pratchett is adapting Wee Free Men. Still in the works, and not abandoned, is a fan-funded version of the short story “Troll Bridge” and the Discworld TV procedural called The Watch. That’s a lot of things being worked on, and the fan in me wants them all right this second. 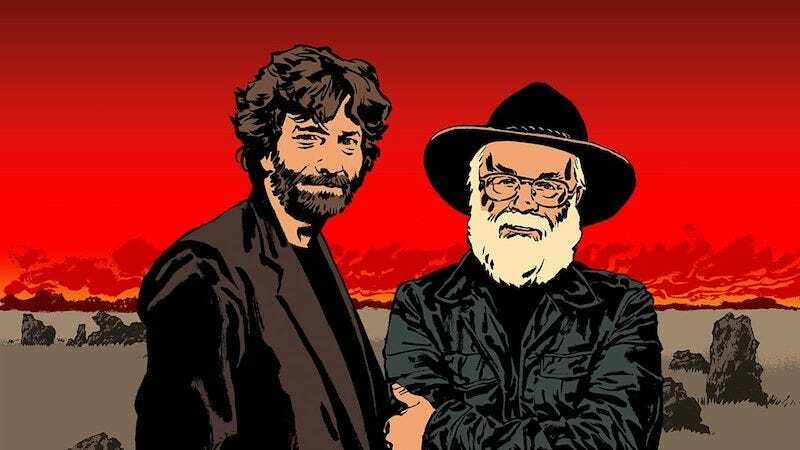 With Pratchett’s death, we lost a prolific writer who created a world with endless opportunities for great stories. The adaptations give us a new way to experience that world. And maybe the reason every other attempt to film Good Omens stalled is because this is how it was supposed to be written—by Gaiman himself. Regardless, we’ll have to keep an eye on the progress of all these projects.